Turkish President Recep Tayyip Erdoğan has attracted ridicule and criticism for promising to deliver 200 gram packages of tea as well as reusable grocery bags to voters ahead of local elections slated for March 31. Speaking at a meeting of his ruling Justice and Development Party (AKP) in İstanbul on Sunday, Erdoğan introduced the tea packages and the reusable grocery bags by showing them to the audience. “All my sisters, our party organization will deliver boxes of tea that have been prepared to you, and you will serve it and say, ‘Happy hours’,” he said. The president also said while opposition parties are delivering plastic bags as campaign giveaways, his party would deliver reusable bags made of cannabis. Reusable bags have become popular in Turkey nowadays due to a recent ban preventing shops from giving out free plastic bags with merchandise purchased. The ban, which went into effect on Jan. 1, makes it obligatory for shopkeepers to sell plastic bags for at least a quarter lira. Some Twitter users likened Erdoğan to street vendors who praise the products they sell while introducing them to passersby. 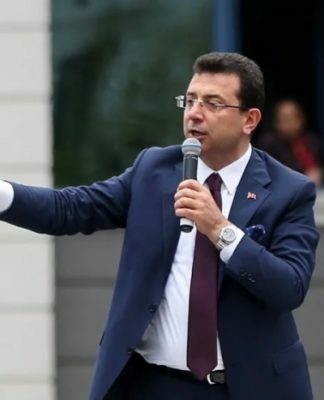 A Twitter user said while Erdoğan’s party was delivering coal and pasta in earlier elections, it has now reduced the value of its giveaways to a package of tea weighing only 200 grams. Another Twitter user said while Erdoğan drinks white tea in his palace, which is very expensive, with one kilogram of it costing TL 6,000, he gives away cheap, black tea to the people. “Have you run out of money and can’t even buy tea to drink? 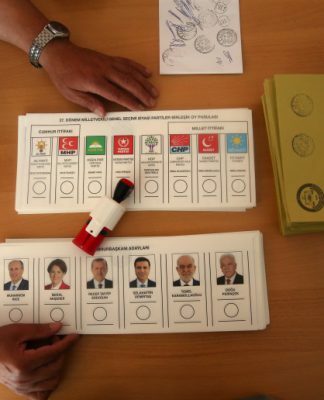 Give your vote [to the AKP] and get the 200-gram pack of tea,” tweeted another user. Erdogan and AKP made Turkey and his populations invalid, like an old women, in need for: food, education, work, investments, export, tourists, respect, justice, education, a currency value, peace, safety, help and support. The opposition proved to be out off need and even able to survive prosecuted, hunted down , eliminated and kidnaped in other countries, and even while the state witch hunted down families and friends off the opposition. Nothing to be proud about after 14 year ruling a country, everything is tumbling down, government “needs” a attention trigger, a lightning arrester, like a extern ore intern war, an all round enemy, an extern culprit ore everything else then the real causers. But nothing happened: because Turks are bribable and sell their birthright for a pack off thee.